Looking for Inexpensive tripod/mount for Lunt 60MM - SolarChat! I'm new to solar viewing having owned a Meade 8" CAT for quite some time. I have a Lunt 60MM on the way and I'm trying to figure out what I want to mount it on. I'm thinking a cheap tripod with simple EQ mount and basic motor drive would work. I've found the ASTROMASTER 130EQ-MD for ~US $219. But I'm not sure if the dovetail on the Celestron mount will fit the 6" bar from Lunt. Does anyone have experience with this system from Celestron? Any thoughts on a better alternative? It seems to be called a Skywatcher now? It also works well with my 65mm Tecnosky + Canon camera and I have taken some nice milky way and deep sky images too. Thanks for your help. 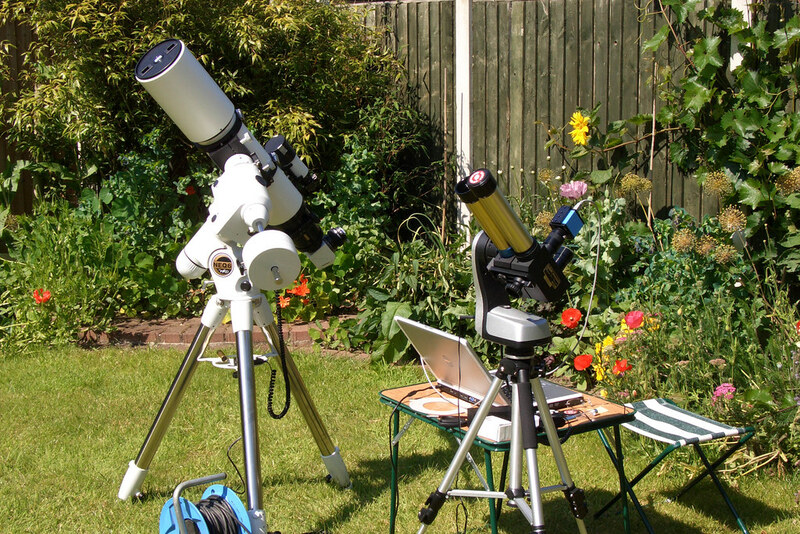 I've been looking at that one as well as the Celestron SE. I think you are correct that the fast exposure times will allow for a simpler mount. I was able to get my scope out for the first time yesterday. Mounted on the back of my Meade LX200. Lots of hardware to lug around for what I want to do. Thin, high cirrus clouds made the day less than ideal but I could see the target in the scope although I was struggling to get what I think should be the correct amount of detail. The inexpensive Celestron SLT and similar do a good job with small scopes like the 60mm and are very inexpensive.